Berlin is dark, cold and grey during winter, but this show promises to bring the tropics to the heart of Friedrichshain with an all-star lineup of international Tiki artists! 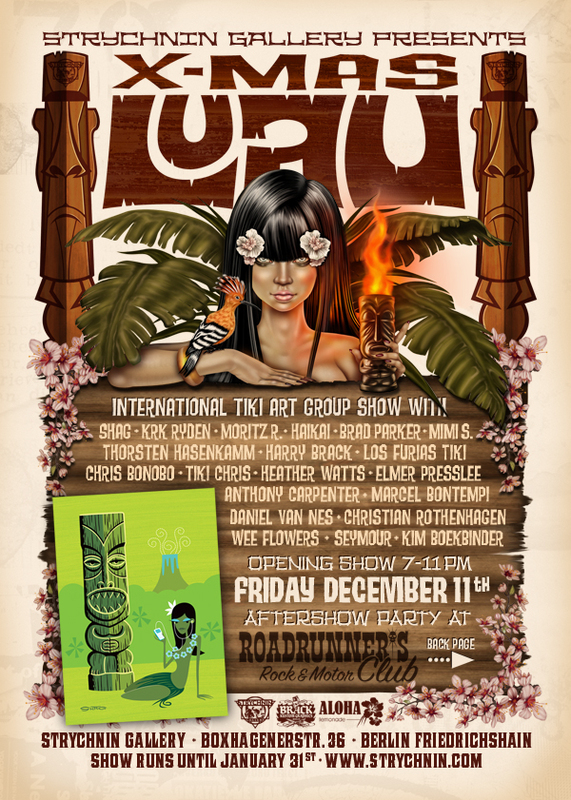 Celebrated Tiki artists such as Shag, KRK Ryden, Heather Watts, Thorsten Hasenkamm and Moritz R. join Strychnin regulars Mimi S, Seymour, Wee Flowers, Elmer Presslee and many more will be showing brand new artwork – paintings, photographs, prints, sculptures and customised ukuleles! In order to keep the party going, Strychnin Gallery has teamed up with Roadrunner’s Paradise in Prenzlauer Berg and will be holding the afterparty there. 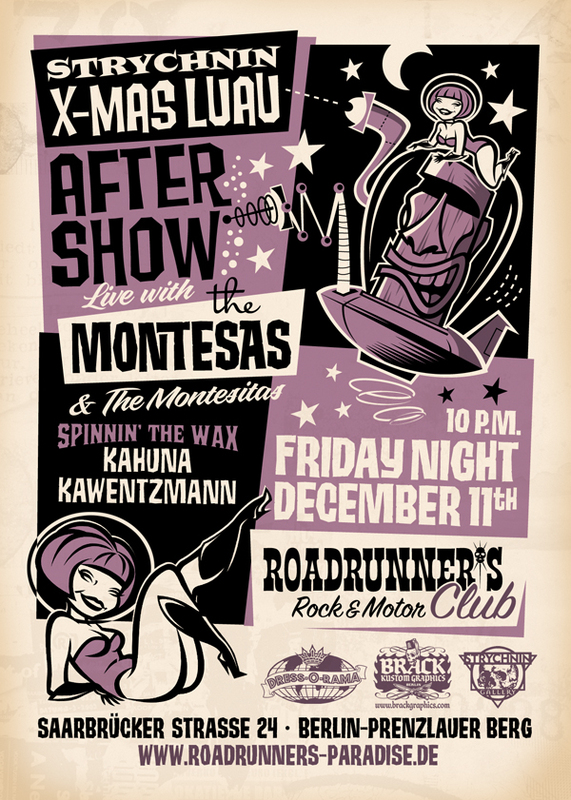 The club will be open from 10pm, and features live music from The Montesas. This entry was posted on November 19, 2009 by strychnin in Uncategorized.